Morning routine – I allow myself an hour and a half to get up every day. My packed lunch has progressed from a normal sandwich to quinoa delights, exotic salads and poached salmon to dishes that would have even Delia shaking her head with worry at the effort I put in to one little plastic container. Exercise – most people go on a little run. Me? I want to run MARATHONS or become a BOXER – no jogging here thank you very much! Diary arrangements – I panic if I’ve only got one social engagement on a Saturday, and then bulk text everyone I know, which before I know it leads to 10 coffee engagements before midday, resulting in caffeine overload and wondering why the hell I’ve brought this upon myself. Last night in a bid to just chill out, I reverted back to the simplest of bakes. The fork biscuit. 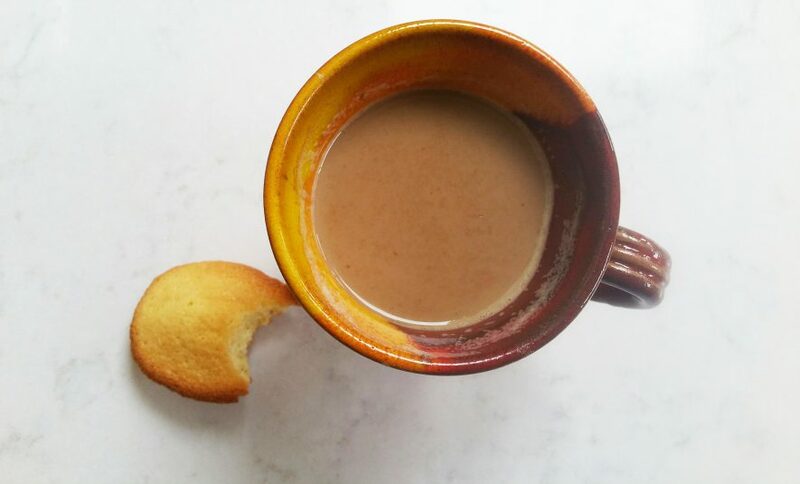 This basic biscuit only involves three ingredients and is wonderfully moorish. 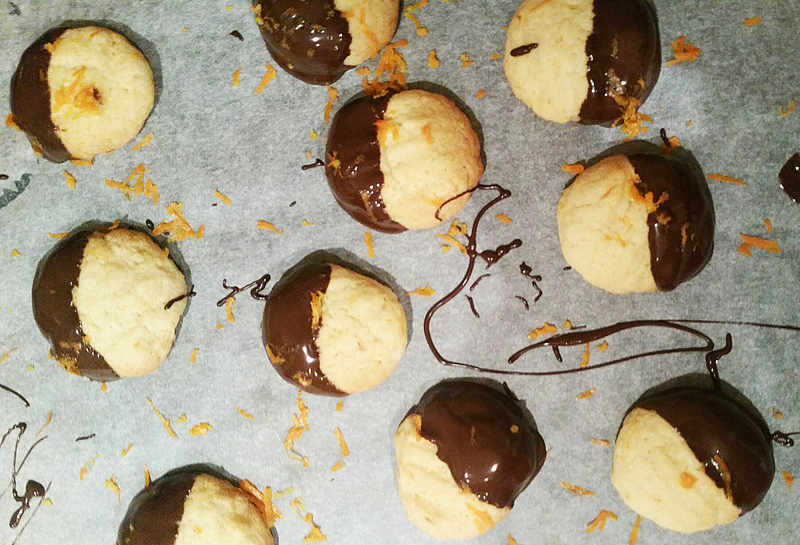 Of course, old habits die hard – I had to add chocolate and orange because sometimes, simple just isn’t that fun. 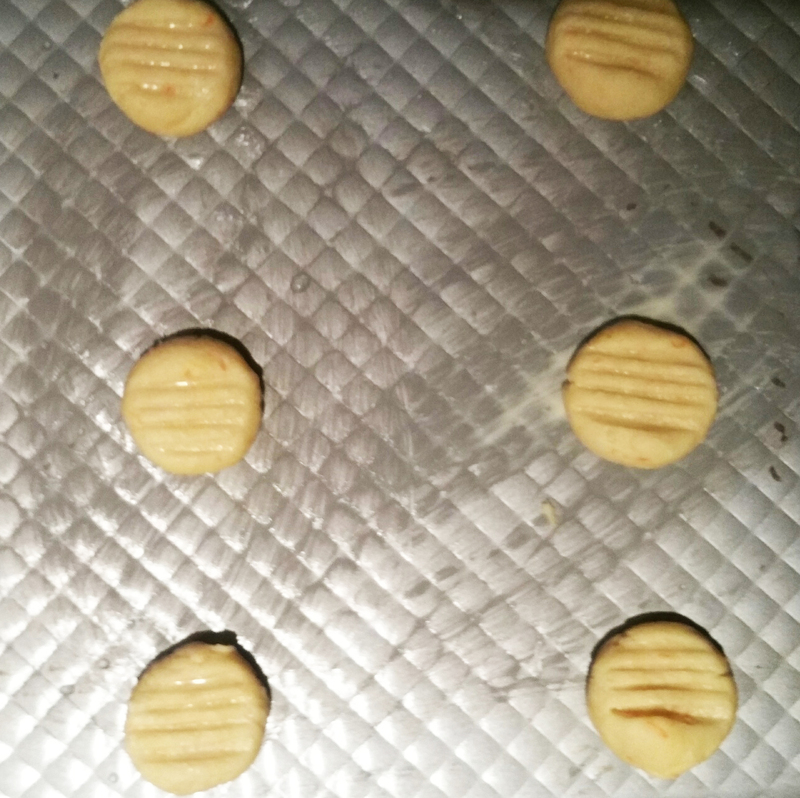 Preheat the oven to 180°C/350°F/gas 4 and grease two baking sheets. Cream the butter and sugar together until light and fluffy. Next add the orange zest and mix well. Add the flour and mix until it comes together to form a ball (if it’s too dry, add a dash of milk to combine). Roll walnut sized balls and place on the greased tray. 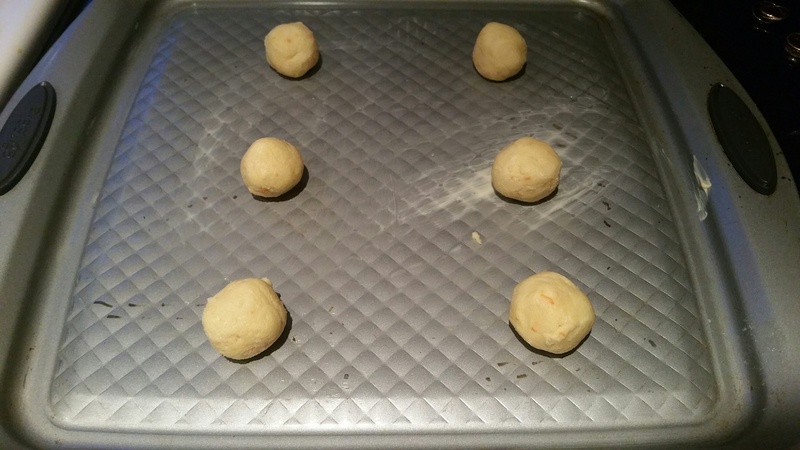 With a fork press onto each dough ball so it is flattened and left with a fork indentation. Cook for 10 minutes, or until golden brown. Leave to cool. 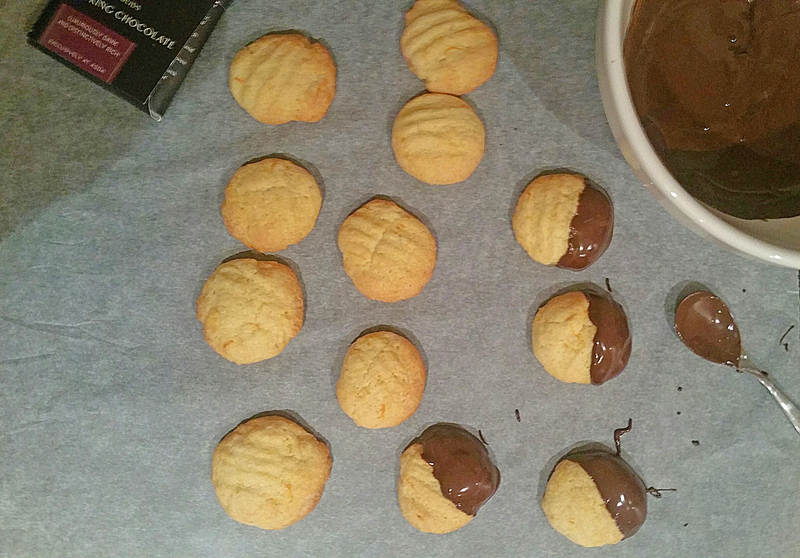 Melt the chocolate and dip the biscuits half into the chocolate mixture. Place on greaseproof paper. Repeat until they have all been half dunked in chocolate. Grate some more orange zest over the biscuits to add colour and flavour. Leave to set. Directions for use: You can add anything to these biscuits. The zest of a lemon is equally delicious.